Sure, you could go with a yummy gluten-free rice stuffing, but if you’re grain-free that doesn’t really help the situation. 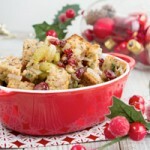 No, what you need is a recipe for a healthy grain-free bread to make a classic stuffing that also happens to be paleo. And, if you’re sensitive to eggs, I have a solution for that. If you’re vegan, there’s an option for you. Heck, even if you have allergies to nuts there are options. 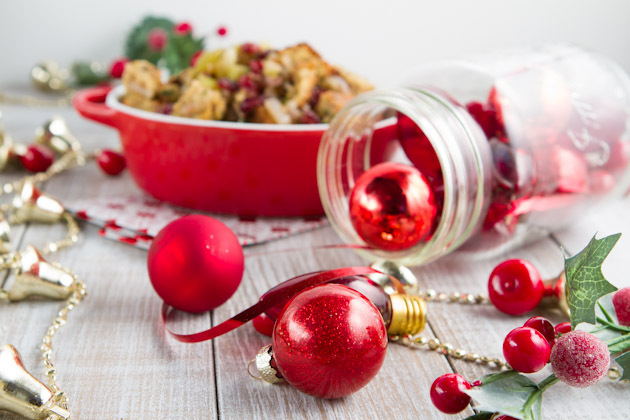 No matter your allergies, you will get to enjoy your Christmas stuffing! Unless of course you are one of those people that don’t like stuffing. You’re not one of those people that doesn’t like stuffing… are you? 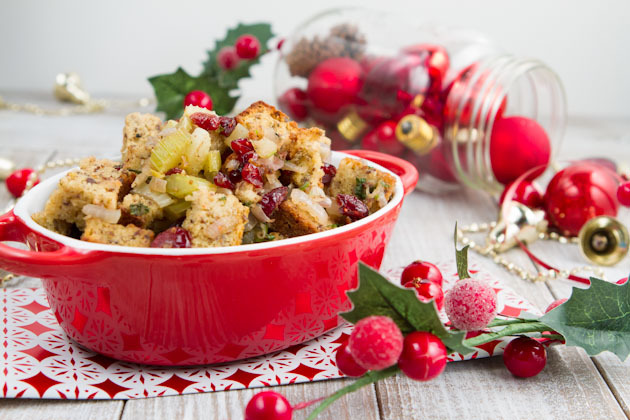 A gluten-free, dairy-free, paleo stuffing recipe that's perfect for the holidays. Made up of homemade flax bread, cranberries, apple juice and a hint of ginger, it'll surprise you in all the right ways! Roughly chop fresh-baked bread into 1 inch chunks (it doesn't have to be perfect). Place the pieces on a large baking sheet and place in the oven (do not turn it on!). Keep it there for 24 hours. If it's still moist, let it sit in a 170F oven for about 20 minutes or so. The bread should be a bit more moist than croutons, but not soft. This step will help the bread retain its shape in the stuffing, so don't skip it! For a nut-free alternative, you could try to make your own bread using a recipe like this, however it is not grain-free. You could also use store bought gluten-free bread if you're not concerned with grains and want to make this recipe vegan. You'll need about 6 cups of cubed bread for the recipe. 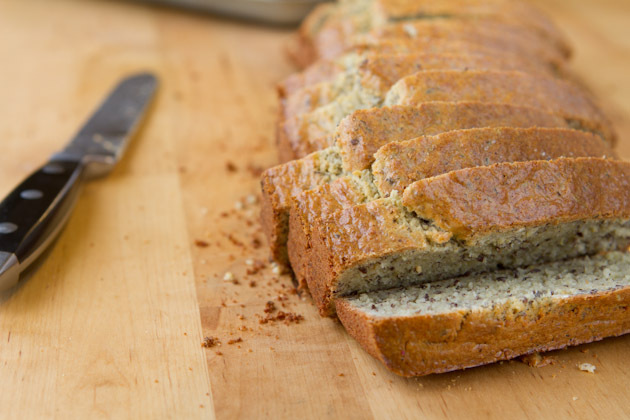 If you're looking for an egg-free, grain-free, vegan bread check out this recipe. You could also try making socca and using it as a bread base. 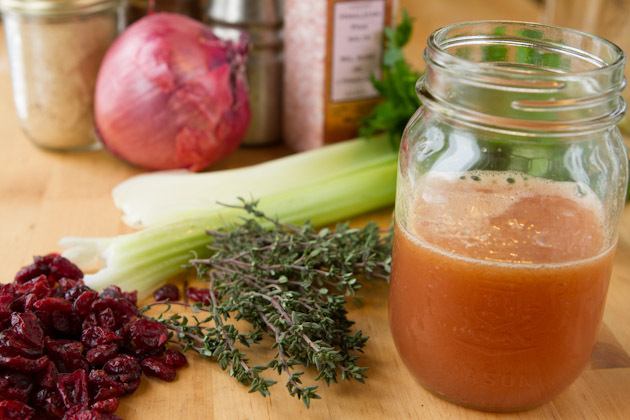 I chose to make my own apple juice for this grain-free stuffing recipe. Feel free to use whatever is easiest for you. I felt all wholesome when I made my own juice for this, like I’d made this recipe completely from scratch. It felt nice. Okay, so you want to cut up the celery, onions and mince the garlic. Add it to a pan with oil and saute it until it’s soft like the picture below to the right. Once that’s done, add the remaining spices. You may think that cinnamon is a crazy idea… just go for it. You’ll like it. Add the veggie mixture to the chunks of bread and toss to coat. I find picking up the bowl and tossing it like that is easiest and will avoid anything breaking up too much. then drop everything in your well-oiled casserole dish. Bake that baby, then let it sit with the lid on for a couple of minutes so it gets a bit soft and nice as stuffing should be. Lightly adapted from Elana’s Pantry. 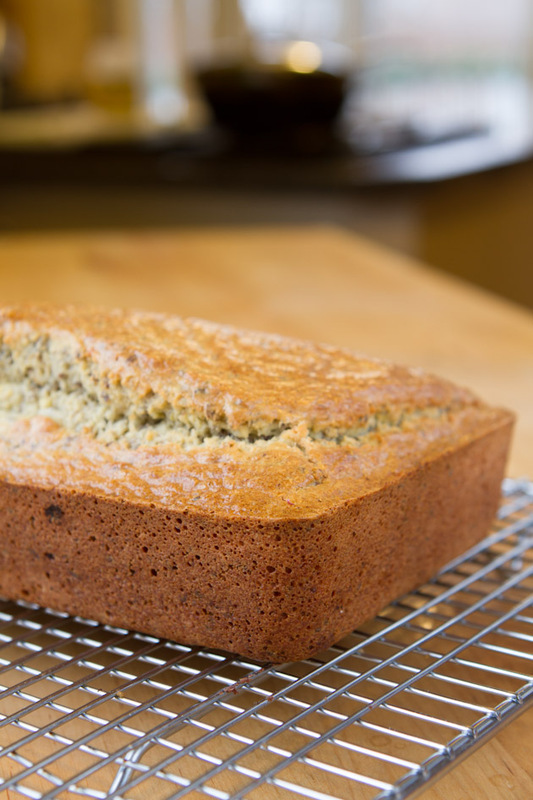 Homemade grain-free bread that's free of yeast and highly versatile! Preheat oven to 350F and oil a 9.25x5.25 loaf pan with a dab of coconut oil or olive oil. Remove from the oven and remove from the loaf pan immediately. To do this, flip it upside down and tap the bottom of the pan a bit. If oiled well enough, the loaf should pop right out. If not, use force. Doesn't matter if it breaks, you're making stuffing out of it anyways. I have not tried to make this recipe without eggs. If you do, I would recommend splitting the recipe in half and making two loaves instead of one so that the mixture can fully bake through. I'm not sure it would work completely, but if you try it, let me know! Begin by raiding Bulk Barn. They have everything there, I’m telling you. 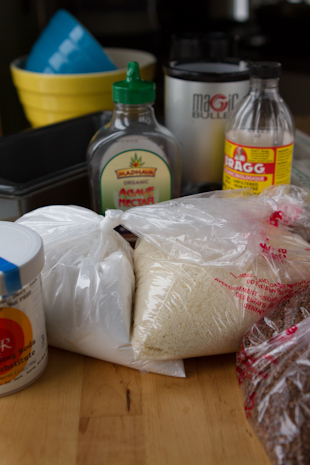 Every gluten-free flour, baking product, condiment you need. I love them. 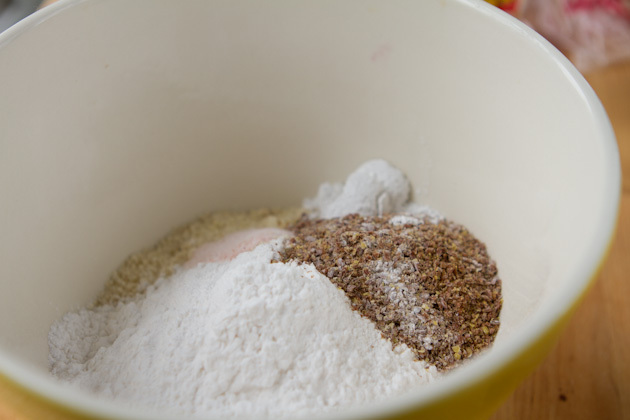 Add all of your dry ingredients together in a bowl. Whisk and set aside. I keep a Magic Bullet in the kitchen for these small jobs. It’s easier to clean that my Vitamix and doesn’t take up as much space. Plus, when you have small jobs that just have a couple of tablespoons of liquids, the vitamix just can’t blend them. The Magic Bullet does. Add the blended eggs to a large bowl. Add in remaining wet ingredients. Then, drop in the mix of dry ingredients. Stir with a spoon until everything is mixed together nicely. Then pour into your loaf pan and bake it. 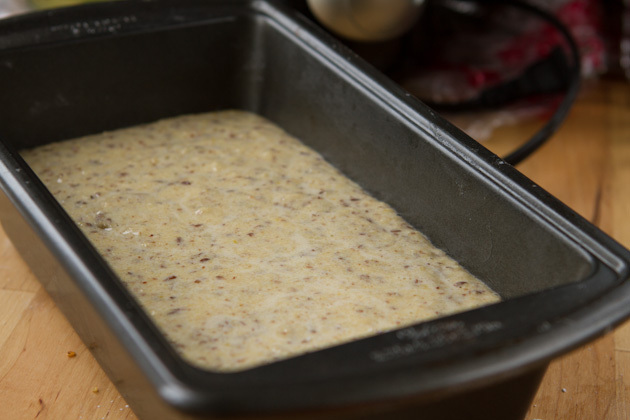 30 minutes or so later, you’ll have a fresh loaf of paleo, grain-free bread staring right back at you. 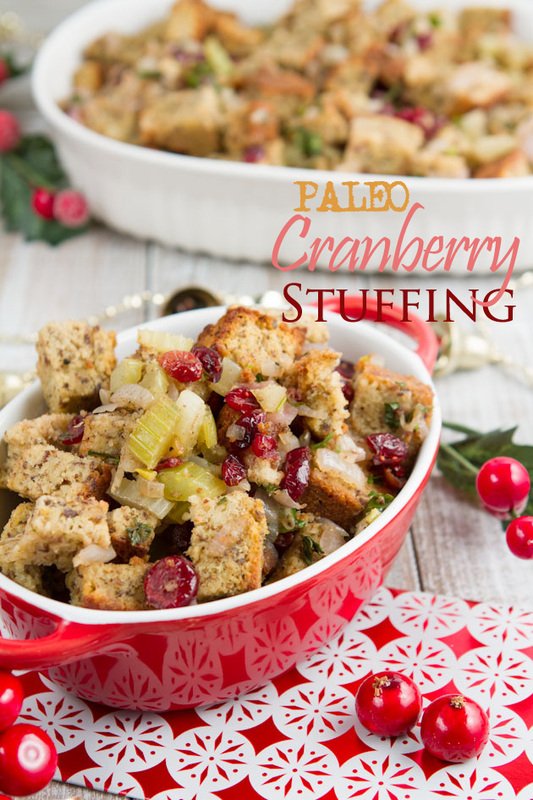 Cut it up into cubes and follow the cranberry stuffing recipe above or you could just stop here and marvel at your freshly baked loaf. Ya, I thought that too… just keep going, you’ll be happy that you did because this stuffing is out-of-this-world amazing. Are you a stuffing person? Common, you have to be!